So you need to raise money, but at the same time you want to involve people and make it a lasting community project and a source of pride? Then a fundraising cookbook could be the perfect solution to all your problems. 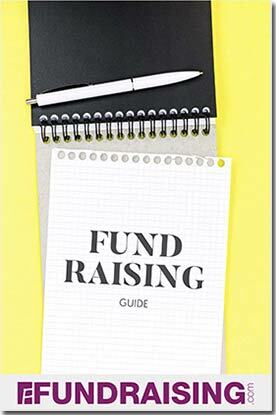 Cookbook fundraisers can be set up in two ways, by buying pre-made books to sell, or by gathering your own recipes and then printing and selling them. The typical school cookbook fundraiser will opt for the former as it involves minimal effort and can maximize profits, but many prefer the latter for its sense of community spirit and pride. Selling books door to door is a tactic that has been adopted by schools for decades, but there are some techniques that are often overlooked. An excellent way to sell cookbooks is to go to local markets or trade fairs and set up a small stand. By doing this you maximize the amount of people who will see and buy your book. Another way is to set up a simple website and showcase the book there so people –especially those outside your community like out-of-state relatives and friends- can see the book and order it easily. To create a desirable book for your school or church cookbook fundraiser, you will need recipes. Who better to ask than the parents of your students or group, many of whom will be more than happy to donate a favorite recipe or two, then simply edit the book and either take it to your local printer or find an online cookbook specialist (see suggestion below). Hey! Where did my recipes go? Make sure to get recipes in several different categories (such as soups, desserts, seafood, chicken, salads, etc. ) to make your book more appealing. For extra appeal, add photos and stories from contributors. For the best results, look for a company that specializes in assembling cookbooks for fundraisers like yours. This cookbook will be professional and appealing to a lot of people and be more relevant to your local community since it will reflect the general tastes and flavors of the area. When done well, your cookbook will be a source of pride for the community; one which many people would be happy to pay for. TasteBook Press – the ideal fundraising solution for schools, clubs, churches, and non-profit organizations. It’s simply the best way to publish your own cookbook with no upfront printing or fulfillment costs. Plus, you can choose from 100,000 recipes to create your own cookbook. It’s called the ulitmate fundraiser cookbook. Cafe Press – get a free web store and sell a variety of products for your fundraiser, including custom-made cookbooks, without spending a dime. No setup fees or minimum quantities. A cookbook fundraiser for schools is just one choice of many. I have been involved in a number of cookbook fundraisers and all of them have taken a lot of hard work to get off the ground. However, they’ve all been extremely successful. I personally think that cookbooks are no-fail fundraising projects, because 50% of the population (women) love cookbooks. 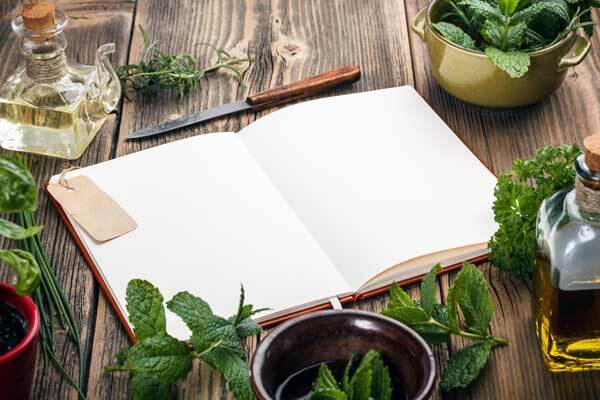 And they especially love cookbooks that are home-grown, meaning that they contain favorite and time-tested recipes that have been passed down through several generations. Recipes from the private collections of families are always the very best. Frankly, cookbooks sell themselves, so they’re so much better than calendars, candy bars, gift wrap or anything else as fundraisers. One of my favorite cookbook fundraisers was for the library of a school that I worked at. We always had pot luck luncheons at the school, so it was a no-brainer to put together a cookbook. The library personnel knew about books and how to get things organized so they took over the collating and categorization of the recipes. Once we put out a call for recipes, we were inundated with replies, so our six-month project was shortened to two months, and we were ready to go to press way before our deadline (which was great).It was a seamless project from concept to completion. We took orders and had about 600 pre-sold. We knew that it was going to be ready before Christmas, so we decided to print extra copies — 2,000, to be exact. There was great excitement when the shipment arrived, and we planned a pot luck luncheon to distribute the copies (with meals made from the cookbook, of course). The response was overwhelming. By Christmas, we had sold over 1,000 copies. The rest of them were sold gradually over the course of the next six months. I don’t remember how much we made, but it was a significant chunk of change that made the whole project worthwhile.I would recommend a cookbook as a fundraiser over almost anything else. It’s a solid, useful product. I personally buy a lot of cookbooks that are sold through church groups and other organizations, since they contain the best recipes. It’s a fun project to work on, and the availability of computerized templates makes putting it together a breeze. Our church, in Georgia, decided to have a cookbook fundraiser because we were all women (and what do women all have in common, cooking). We were doing the fundraiser to raise money for a women’s retreat to the mountains in Tennessee. The time we made the most money at one time was when we set up outside of Publix Supermarket to sell them. Well, Duh! Lots of people bought them as they were entering the store. We also sold them individually. As an incentive for this, we had two gift certificates to Long Horns so that the top two sellers could go to dinner there and didn’t have to cook a meal. In the end, we ended up raising about $3000. It was a wonderful retreat and a great fundraiser that got all the women bonded. I was in India during the year 2002 with a voluntary organization I was a member of, to participate in social welfare program which was aimed at giving the street children some elementary education and training in drama. The objective was that The National School of Drama was intending to take one of such children as their trainee who would later become a professional drama artist for the School in future. Any way, when we reached there and started to train them I found them to be so poor that they could not get a square meal for many days at a stretch. I thought that since I would be staying there for next 6 months I must do something for those children. I proposed the organization who invited me there that why should we find one, put them in hands of NSD, and go back to our place. Why should we not try to make a permanent school for them where they would learn the art of drama and the school itself would promote them as performing artists to several fields of performing arts where they would be needed. The organization informed me that they did not have such infrastructure and it would require a lot of money. It was then I gave them this idea to raise funds by applying some unique method. As I knew that Indians were very much fond of foods, I suggested them to publish a cookbook where we would include 500 recipes by 500 chefs of 500 Five Stars Hotels of the world. I knew a website where all five star hotels’ address and other details were posted. I prepared an email which requested the recipients to send a recipe as he/she found fit to help for this noble cause. We had more than our requirements. The best part of the program was that most of the chefs had sent the recipe with their photos and with an offer to contribute some money for this great purpose. What was next? We did not even have to spend from our pocket a single cent to print and publish the cookbook. As I had expected of, the cookbook was sold like hot cakes. The royalty was enough to meet the cost of preparing the school for them moreover, donations started to come from many sides as we had mentioned the cause of publishing of that cookbook in its preface. The school is still operating in West Bengal, India as well as the cookbook is still getting its royalties.